Oak Wreath Indian Head Cents - A more widely accepted design signifying strength. Oak Wreath Indian Head Cents range in dates from 1860 to 1909. 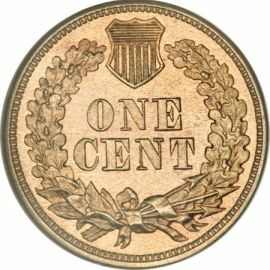 The cents I would like to focus on here range from 1860 to 1864. They are slightly different from the earlier design in 1859 which features a laurel wreath on the reverse. The oak design was supposed to symbolize strength just before the outbreak of the Civil War. were both lighter and made on slightly thinner coin blanks. 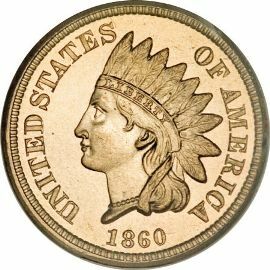 Specializing in Indian cents is a great way to begin and learn about the hobby. This particular set is an easy one to start with. They are relatively easy to find in coin shops and at shows. An added bonus is that most are fairly inexpensive.